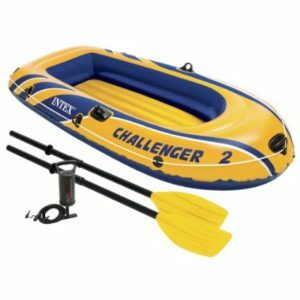 On Amazon right now you can get this fun Intex Challenger 2, 2-Person Inflatable Boat Set with French Oars and High Output Air Pump for only $34.30! My in-laws have this boat and it works great and is very sturdy. If you have a lake it is so fun to have!